Sophistacat brand cat food was marketed by PetSmart until February 2013, when the brand name was folded into PetSmart’s existing budget-minded Grreat Choice line, which includes inexpensive dog food. PetSmart, a well-known pet retailer across the United States, owns and operates more than 1,000 stores, many with grooming and even boarding options. It is not uncommon to see customers bring their pets into the shop with them. 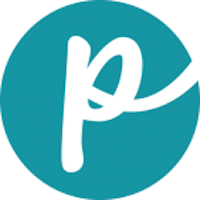 Other PetSmart brands of pet food include Simply Nourish and Authority. Has Grreat Choice Ever Been Recalled? Yes. In early 2017, PetSmart voluntarily recalled a single lot of Grreat Choice canned dog food for apparent metal contamination, although no dogs were reported sick or injured. In 2009, PetSmart recalled 7 of its Grreat Choice Dog Biscuit products that contained peanut paste made by Peanut Corporation of America (PCA). PCA was the focus of an FDA investigation into potential salmonella contamination of peanut butter. In 2007, a number of Grreat Choice varieties were pulled during the massive Menu Foods melamine recall. Below the complete list that follows, we have also listed recall information for Sophisticat, which saw some products recalled during the melamine scare in 2007. Cause: Metal contamination. Announcement: Company announcement dated Feb. 8, 2017. 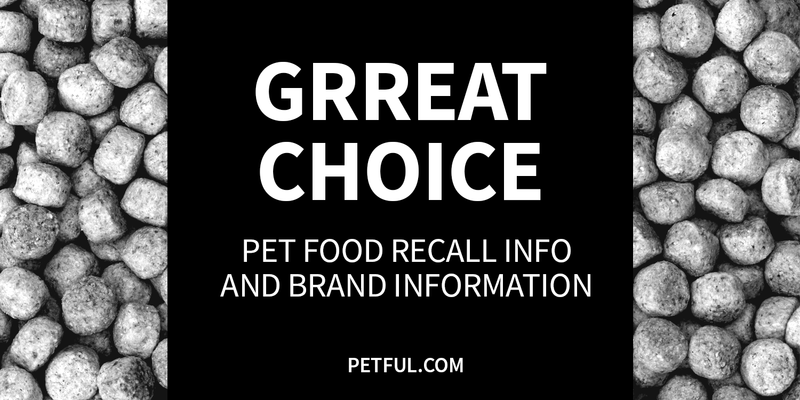 What was recalled: Grreat Choice Adult Dog Food With Chicken and Rice Classic Ground, Lot #1759338, UPC 7-3725726116-7, best by Aug. 5, 2019. Extra Large, Assorted 8 lb. Beef Cuts/BBQ Sauce, 13.2 oz. Beef Cuts/Gravy, 13.2 oz. and 22 oz. Beef/Bacon/Cheese, 13.2 oz. and 22 oz. Beef/Liver Cuts/Gravy, 13.2 oz. and 22 oz. Chicken Cuts/Gravy, 13.2 oz. and 22 oz. Chicken/R Cuts/Gravy, 13.2 oz. and 22 oz. Chunky Beef, 13.2 oz. and 22 oz. Country Stew Cuts/Gravy, 13.2 oz. and 22 oz. Lamb/Gravy/Vegetables, 13.2 oz. and 22 oz. Mesquite Ckicken Cuts, 13.2 oz. Have You Had a Problem With Grreat Choice?